An array shows multiplication tables using objects. This is an easier approach for younger elementary students to visualize, rather than memorize, multiplication tables. For example: 3 x 4 = 12. To make an array to show this, you could use pennies to make three rows of four. This method can also be used to find the factors of a number in an easier way. Arrange arrays using coins, blocks or drawing dots on a piece of paper. Find factors of 12 using the pennies to make different arrays. Lay down the pennies, 12 at time only, to form different and even arrays. The arrays must be made evenly. To start, lay down 12 pennies in a straight line. This line represents one row of 12 columns, or 12 x 1 = 12; therefore, 12 and one are considered factors of 12. 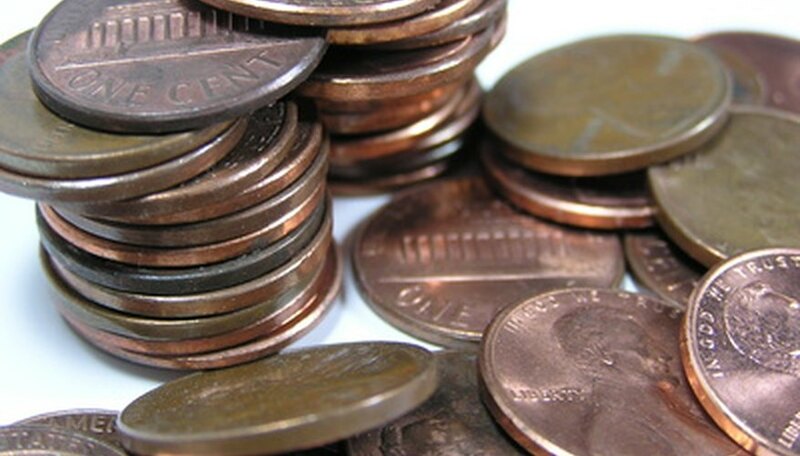 Lay down a second set of pennies to form a different and even square or rectangle. Form two rows of six columns each (or six rows of two columns). This represents 2 x 6 = 12; therefore, two and six are factors of 12. Lay down the last set of pennies to form an even square or rectangle. Form three rows of four columns (or four rows of three columns). This represents 3 x 4 = 12; therefore, three and four are factors of 12. One, two, three, four, six and 12 are all factors of the number 12. Griffith, Andrea. "How to Use an Array in Mathematics to Find Factors of a Number." Sciencing, https://sciencing.com/use-array-mathematics-factors-number-6531298.html. 24 April 2017.